Falling in love comes naturally and falling in love in a foreign city, especially one renown for romance, comes easily. The novels in this series are set in cities I have had the opportunity to visit or live in over the many years I lived in Europe. 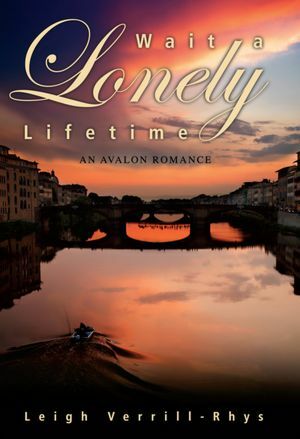 My first Americans in Love novel, Wait a Lonely Lifetime, is set in Florence—one of the most beautiful and cultured cities in the world. When I visited, I knew without a moment’s hesitation that I wanted to write about its museums, galleries, streets and the River Arno. I kept my eyes open and my notebook handy. On the wall of my hotel was the high water plaque of the historic Arno flood that destroyed so many landmarks. In one of the many piazzas is the statue of the Medici prince, Cosimo, with a shield covered with bumble bees. The statue of Michaelangelo’s David stands triumphant in the Accademia. A tree in the corner of a narrow street marks the spot where the Mafia set off a bomb that killed many Firenzians. The beauty of this historic city is beyond words. Florence/Firenze is the perfect setting for long lost lovers to find their future.